You stood against President George W. Bush’s disastrous No Child Left Behind legislation in 2001. Why did you vote for almost the same thing in 2015? 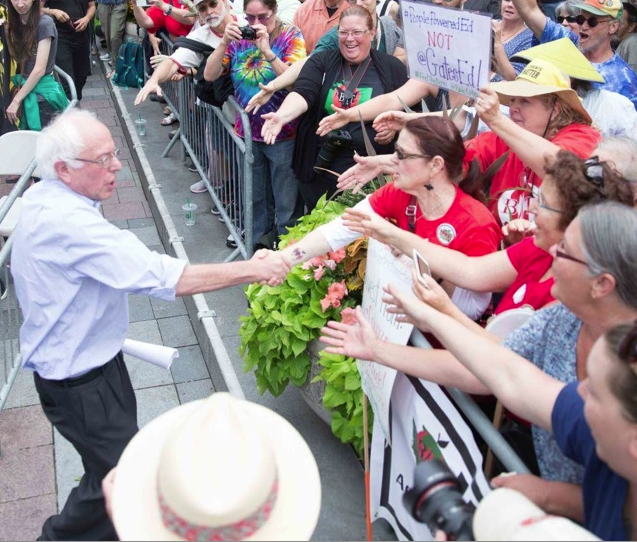 Then we come to Sander’s position on TEACHER ACCOUNTABILITY. He’s certainly right that schools need to teach students. However, as a public school teacher, I find it ludicrous to think that there are any schools out there that don’t. It doesn’t matter where you live. It doesn’t matter what laws are on the books. It doesn’t matter if your state is controlled by Democrats, Republicans or some combination thereof. No government – not federal, state or local – can trample your parental rights. If you don’t want your child to be evaluated based on standardized tests, your child doesn’t have to be. And if a majority of parents nationwide make this decision, the era of standardized testing comes to an end. Period. Across the nation last school year, parents decided to opt their children out of standardized testing in historic numbers. The government noticed and functionaries from New York to California and all places in between are scrambling to deal with it. 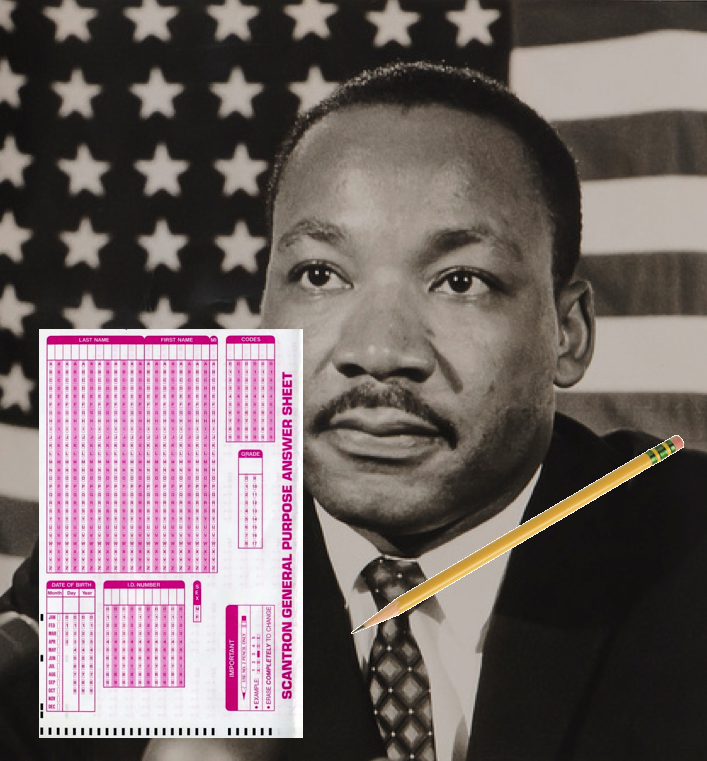 In the Empire State one in five students didn’t take federally mandated standardized tests. State education commissioner Mary Ellen Elia responded yesterday by threatening sanctions against schools this year with high opt out numbers. In short, if in the coming year too many kids don’t take the test in a given school, the state will withhold funding. It’s a desperate move. If the public doesn’t like what its duly elected officials and their functionaries are doing, those same officials and functionaries are vowing to punish the public. But wait. Don’t those people work for the public? Isn’t it their job to do our will? It’s not our job to do theirs. The message was received a bit better in U.S. Congress where the Elementary and Secondary Education Act (ESEA) is being reauthorized. Two drafts of the law that governs K-12 public schools were approved – one in the House and one in the Senate. And both specifically allow parents to opt their children out of standardized testing. But can schools be punished for it? The House version says no. The Senate version says it’s up to each state legislature. These bills are being combined before being presented to President Obama for his signature. If he doesn’t veto the result, one might assume that at worst the issue will become each state’s prerogative. But you’d be wrong. The state has as much business deciding this matter as does the fed – which is none. This is a parental rights issue. No one has the right to blackmail parents to fall in line with any government education policy. It’s the other way around. In my own state of Pennsylvania, opt out numbers this year were not as dramatic as in New York, but they still sent a message to state government. The number of students opted out of state tests tripled in 2015, according to data from the Pennsylvania Department of Education. 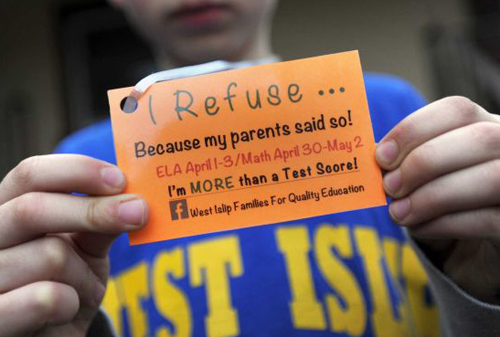 PSSA math opt-outs rose to 3,270 students from 1,064 in 2014. PSSA English language arts opt-outs rose to 3,245 from 1,068. Those are the largest jumps in the nine years of available data. And it’s not only parents who are concerned. Teachers continue to speak out against high stakes standardized tests. Thousands of teachers have told State Education Secretary Pedro Rivera that school accountability needs to be less about test scores and more about reading levels, attendance, school climate, and other measures, he said. They have concerns about graduation requirements and the state’s current system of evaluating schools. Corporate education reformers complain that testing is necessary to hold schools accountable. However, the results are not trustworthy, according to the Pennsylvania Department of Education, itself! In 2011 and now again in 2015, officials are cautioning against using test scores to compare student achievement from year-to-year. Each year students and teachers are told to hit a moving target, which was the reason also cited for caution four years ago. While Rivera laments the issue and his inability to change anything soon within the government bureaucracy, parents are not thus encumbered. All you have to do to save your child from being part of this outdated and destructive system is opt out. But don’t stop there. Talk to other parents. Talk to classroom teachers. Organize informational get-togethers. Go to the PTA and school board meetings. Get others to join you. And if the government threatens to withhold funding, lawyers are waiting in the wings to start the class action suits. Withholding taxpayer money expressly put aside to educate children because those same taxpayers disagree with government education policy!? Just try us! Governments are tools but we hold the handles. If enough of us act this year, there will be no testing next year. Functionaries can threaten and foam at the mouth, but we are their collective boss. If they won’t do what we want them to do, we have the power to boot them out. A multi-billion dollar industry has sprung up around high stakes standardized testing. Lobbying dollars flow from their profit margins into the pockets of our politicians. But we are more powerful. Because you can’t serve your corporate masters if you are voted out of office. Let’s get one thing straight right from the start. I’m just a private citizen who’s sick of seeing his tax dollars swallowed up by big corporations under the guise of educational accountability. I’m just a public school teacher who’s tired of his profession being demonized by policymakers and media talking heads alike. And I’m just a father who’s worried that his daughter won’t get the same comprehensive public education he received as a child. No one paid me. In fact, I bankrolled myself. So like more than 300 members of the Badass Teachers Association (BATS), I came to Washington, D.C., to speak with my Congresspeople. I met with Senators Pat Toomey (R-PA), Bob Casey (D-PA) and Corey Booker (D-NJ). I met with U.S. Reps Mike Doyle (D-PA) and Chris Smith (R-NJ). Well, actually I met with their legislative aides. None of the actual lawmakers made time to sit down with a flesh and blood teacher. In one case, a legislator seemingly went out of his way to avoid me. While sitting on the couch in Doyle’s office, he came out of a room to the left of me, asked his secretary for packing tape and then told her he was leaving for the day. It was 2:47 p.m. on Friday. And they say teachers have easy hours! I can’t say whether he was actively avoiding me. I made an appointment to see him, but it was never specified if I’d be meeting with him in person or if I’d be with his aide. For all I know his staff never let him know I was a constituent sitting there on his couch in a suit and tie with a folder perched on my lap. But it didn’t feel good. But I frankly couldn’t believe this was happening. Moreover, he looks a lot different in a purple Hawaiian shirt than he does in all his press photos wearing a suit. I had to check his picture on my phone to make sure I was really seeing this correctly. Still the meetings I had with these kids helping my legislators decide public policy were actually quite productive. Without exception these youngsters were friendly, polite and knowledgeable. They seemed receptive to new ideas, were eager to hear my point of view, asked intelligent questions and were honest about where their bosses sometimes disagreed with me. In Sen. Toomey’s office his assistants even asked if I was THAT Steven Singer. 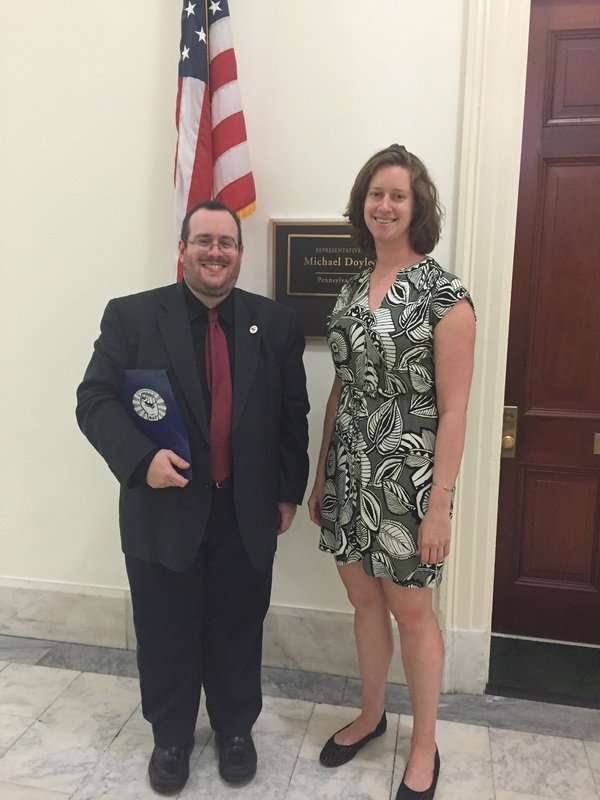 I first met with Devorah Goldman, Toomey’s legislative correspondent on education and other issues. She’d only been on the job for about a year, but her qualifications included a degree in social work and she had worked in a public school resource center. She was a very good listener. She heard me out as I spoke about a homeless student in my classes this year. She listened as I explained why Common Core is bad policy, why we need equitable school funding, an end to high stakes standardized tests, reigning in charter schools and voucher systems, and an end to judging teachers based on their students’ test scores. Her boss isn’t exactly known as an education advocate. But she said he would agree with most of what I had said. I explained that it was bad policy to try to save some students and let others fall behind. We need to make sure ALL our schools do an excellent job. Moreover, the Senator’s metric for determining which schools are failing is faulty at best. I explained that traditional public schools often outperformed charter schools, which lack transparency and accountability and are wasting taxpayers dollars. “We’ll just have to disagree on that point,” she said without explanation. But she agreed to continue to take input from me and the BATS in the future. At Doyle’s office, I eventually sat down with Hannah Malvin, a political science major who, at least, is from the Pittsburgh area – her boss’ legislative district. She listened intently to my tales of education woe, even asking follow up questions. But she was surprised I supported the reauthorization of the Elementary and Secondary Education Act (ESEA). Even the strongest supporters of the rewrite of the federal law that governs K-12 schools would admit it isn’t perfect. However, I would contend that the new version being cobbled together by the House and the Senate appears to be a slight improvement over what we have now – No Child Left Behind (NCLB). Some educators think even this rewrite doesn’t go far enough to scale back standardized testing (and I sympathize but do not agree with that position). However, Malvin said Doyle had issues with it because it scaled back too much. This was the issue I heard from Democrats all day. There isn’t enough accountability in the ESEA rewrite. How will we know which schools need extra help, they asked again-and-again. I tried to explain that all they had to do was look at per-pupil spending. It’s no mystery which kids aren’t getting enough resources. It’s all right there on a ledger. To her credit she heard me out and agreed to continue to dialogue with me on this subject in the future. Next, I met up with some fellow teacher lobbyists from New Jersey and we dropped in unannounced on Booker’s office. It’s not that we didn’t try to make an appointment. His staff never returned our calls and emails. In fact, last week a fellow teacher not with us on Capitol Hill, Michele Miller, even got into a scuffle with Booker on Twitter about elementary school funding. He told her to call his office and he would talk to her in detail. To my knowledge, he never did. However, she was connected by phone to one of his aides. I’m told this is just modus operandi for Booker – strong talk in a public forum but shying away when the cameras aren’t rolling. In any case, Booker’s senior education and health policy adviser Ashley Eden agreed to talk with us when we showed up to the office. Though her background isn’t in education, I can’t recall exactly what it is in. I do remember she has been doing this sort of legislative work for lawmakers for about 4 years – longer than any other aide we met. She immediately made us feel welcome and found many areas of agreement. Bookers’ major point of contention – like fellow Democrat Doyle – was accountability. How do we know which kids need help without giving them standardized tests? Groan. But at least I had reinforcements: BATS Assistant Manager Melissa Tomlinson and retired NJ teacher extraordinaire Elizabeth DeMarco. Perhaps the most telling moment of the entire conversation was when Eden said Booker just had to back standardized testing because every Civil Rights organization wanted it. She even criticized the New Jersey Education Association (NJEA) for not supporting black and brown students. We stopped her right there. No. Every Civil Rights organization does NOT support testing. 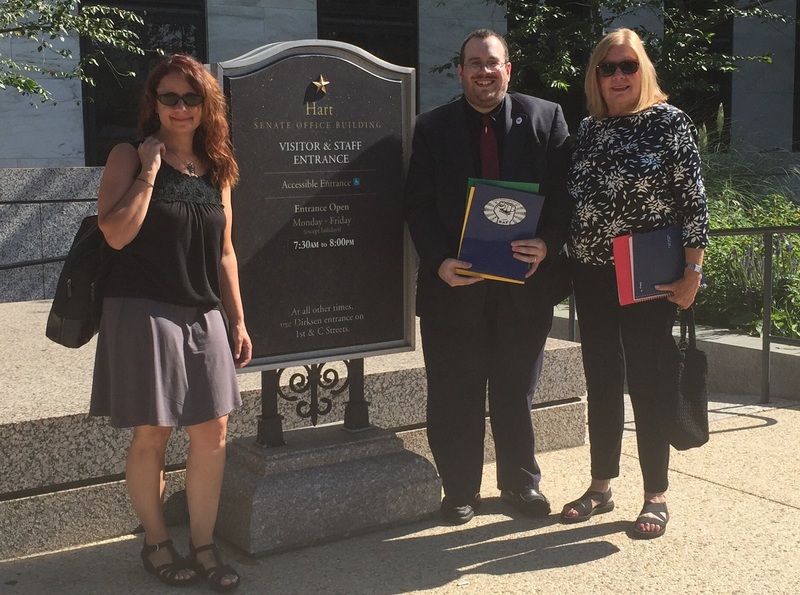 Journey for Justice – a coalition of 38 such organizations, in conjunction with 175 additional likeminded groups wrote to both the House and Senate asking to eliminate testing. Didn’t Sen. Booker see the letter? She said she read it real quickly and didn’t like one sentence in it so she ignored it. Something about expecting poor and minority students to do badly on tests. I explained that it has nothing to do with thinking these children can’t achieve at the same level as other children. It’s a matter of resources. If Sen. Booker was in a foot race against someone in a Monster Truck, I’d vote on the truck. Doesn’t mean Booker can’t run or that he might not even win. But the smart money is on Big Foot. I joined the two ladies for their meeting with Smith as well. 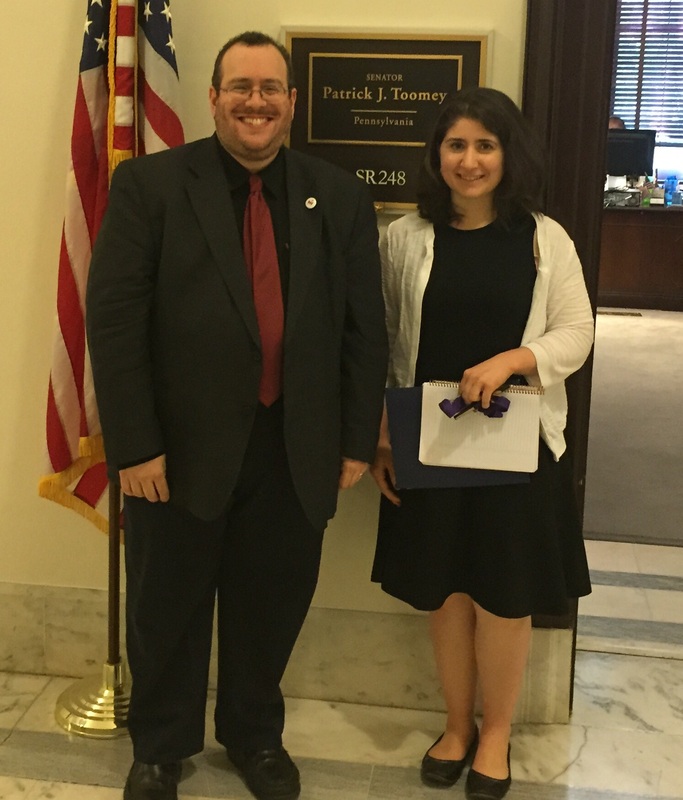 His legislative assistant, Katherine Talalas, was perhaps the most knowledgeable aide with whom we talked. 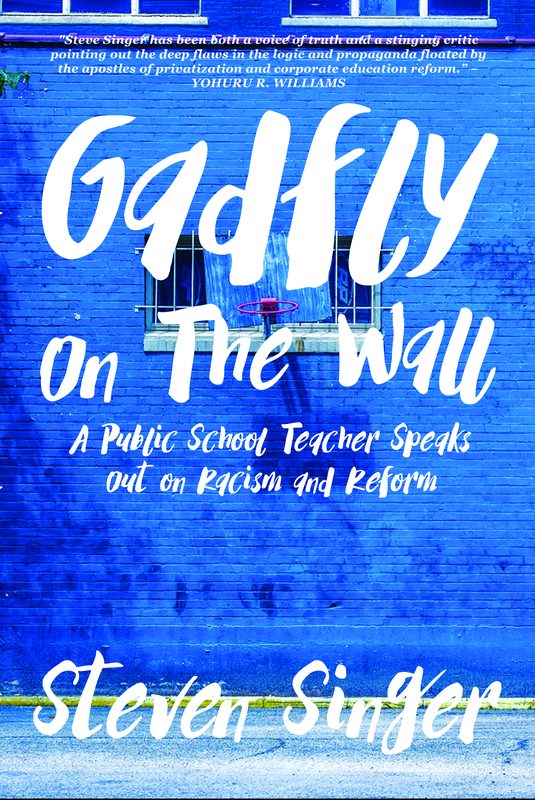 Her mother is a special education teacher, her brother is a paraprofessional working in a public school and she went to law school focusing on education issues. She also took more written notes than any other assistant. With her nothing seemed canned. It was a real conversation about what her boss had done to help special education students and how he might continue to help in the future. 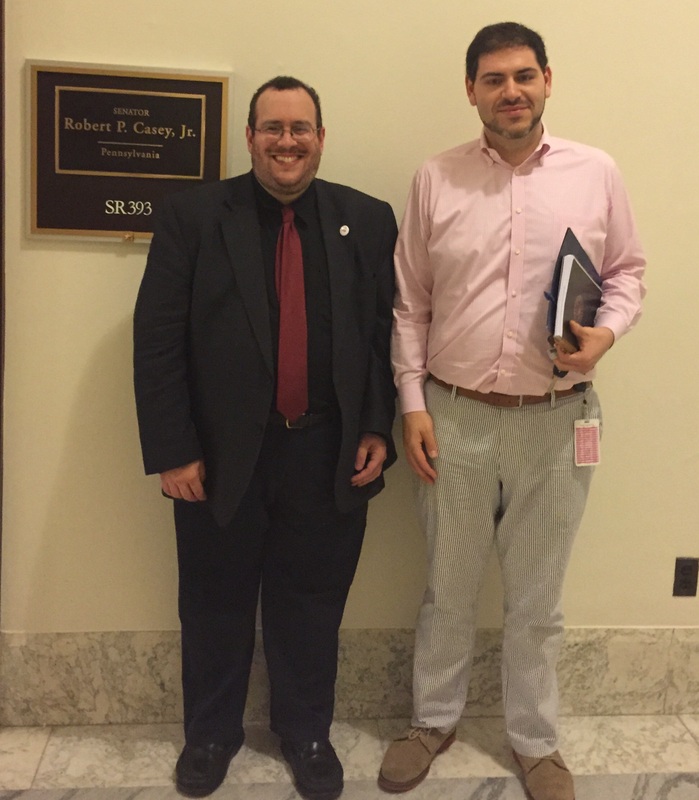 I was on my own again to meet with Sen. Casey’s aide, Jared Solomon. This was one of the most fascinating and perplexing conversations I had all day. He was warm, friendly, and had a depth of knowledge that was a bit more political than school-centered. He agreed with almost everything I said. Casey supports 95% of the things that are important to me in education. I could have smiled and walked away happy, but Solomon was so gregarious he kept talking. We shared our backgrounds. 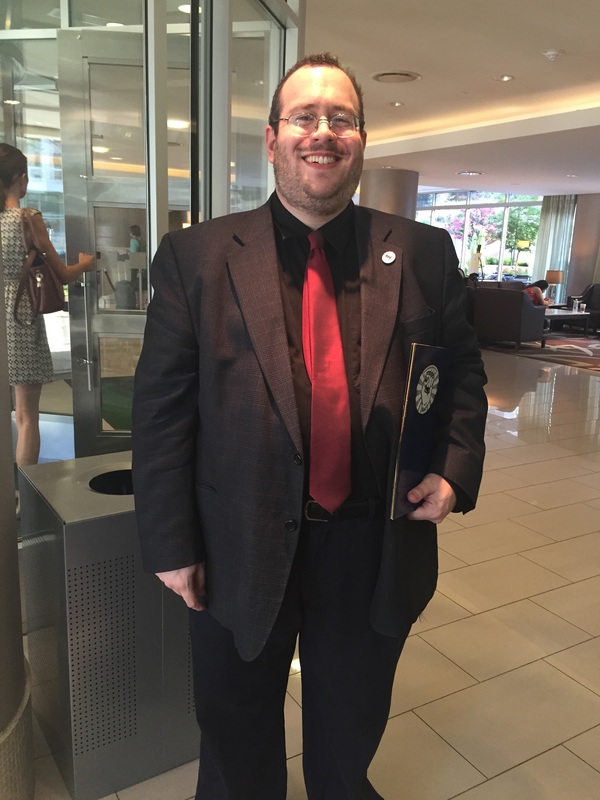 He proudly admitted that he had been a Teach for America (TFA) recruit. He worked two years in a Baltimore public school and then left. He knew it wasn’t going to be his permanent job. He was emulating his parents who had joined the Peace Corps. He did TFA because he wanted the experience. Then he moved to the administrative offices of Michelle Rhee’s Washington, D.C., Public Schools. He only worked there two years – only one of which was under Rhee’s administration – but he respected what they had done. He said he disagreed with 80% of their policies and even quit because he was tired of being blamed for practices with which he didn’t agree. But, he added, the people in Rhee’s administration worked harder than anyone he knew, and he thought they really had the best interests of the kids at heart. I’m tempted to chalk it up to the same feeling the incredible blogger Jennifer Berkshire (a.k.a. Edushyster) says she gets when she interviews many corporate school reformers. We may disagree with them, but they really do believe this stuff. But something happened that doesn’t sit well with me. In an unguarded moment of a more than hour-long conversation, Solomon pulled the same stunt Eden did for Sen. Booker. He said all the Civil Rights groups were crying out for testing. But when I called him out on it, he immediately took it back. It was like he, too, knew this was untrue. It was a talking point, quickly to be conceded if called out and then move on to another argument. I frankly don’t know what to make of it. 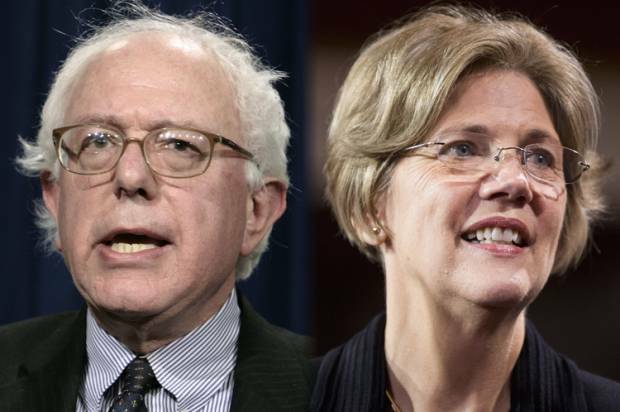 The arguments are too similar among Democrats and Republicans to shrug off. Each is speaking from a party line script. That can’t just be a coincidence. And why would Casey, a legislator who supposedly agrees with me 95% of the time on education, hire as his education expert someone who was actively involved in many of the practices that go directly against his beliefs? Why would someone like Solomon, who was part of the corporate education reform movement, really be on my side against these policies? It’s befuddling to say the least. Now that it’s all over, I’m so glad I did this. Will this change the nation’s education policies? Probably not. 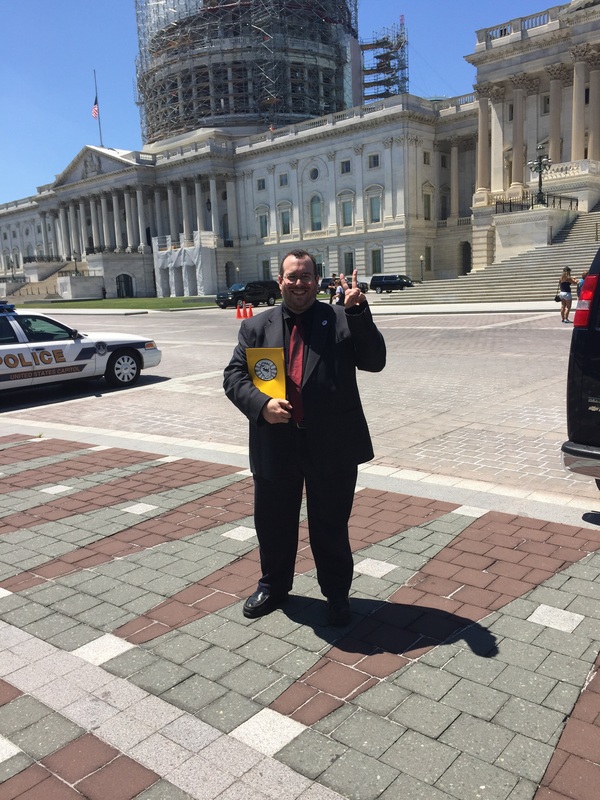 But I am only one of hundreds of people who climbed Capitol Hill in the last two days and met with more than 52 federal legislators to fight against the standardization and privatization of education. And tomorrow we, BATS, will hold a Teachers Congress to further solidify our goals and decide where the great ship of real positive school change should go. But this teacher, soon-to-be BAT Congressman, needs to go to bed. Here’s to a brilliant tomorrow for our children. But do Civil Rights groups who fought against unfair testing as a prerequisite to vote now really demand unfair testing as a prerequisite for a high school diploma?